Who knew that you can protect your mobile phone screens just by wiping, applying and drying? Remember, the smartphones we got as prizes from the last Ad Summit event we attended last week? I started using one of the smartphones we got and of course, having a new phone or any gadget perse, we always tend to do some extra caring and protection to it. There was this gift we got last Christmas and it has been sitting in the box for months now, at first, I thought of it as an added clutter in the stock box but the good thing for a new phone...I was able to find it useful, in fact very useful indeed! Nanofixit invisible screen protection pack, I googled the product first before me diving into a do-it-yourself, and eventually me leading to making this video (check out the full video in the screen above this post, it will direct you to my Youtube) :). I was surprised when I opened the box and saw three small packets with numbers 1-3 indicated in each pack. 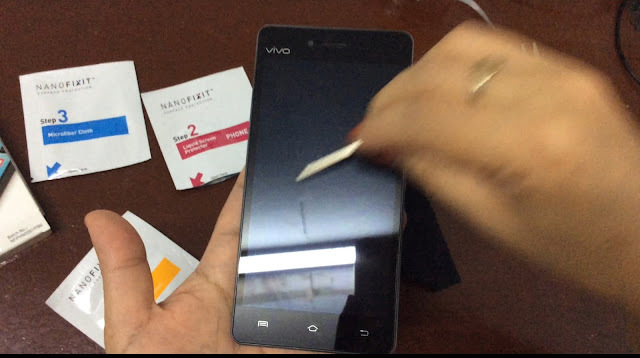 My initial concern when I was checking out the Nanofixit box is, will it fit the screen of my new phone. I was used to using plastic peel-off screen protector that you can buy, having the exact mobile phone screen size and dimension and also the specific slots for the speaker and earpiece location. 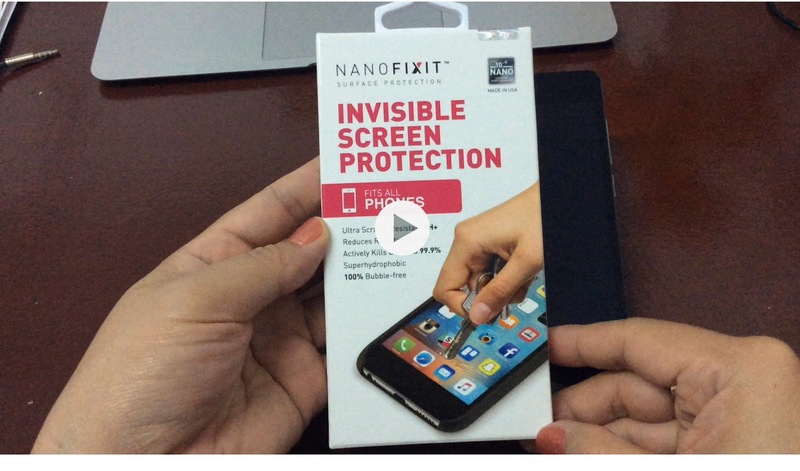 This Nanofixit invisible screen protector will make you not to worry about those details I mentioned above. After doing the simple and easy three steps...I also did the scratch test, I was a little hesitant in doing this, but what to lose, right? I scratched the screen after applying the liquid using a key, it works wonderfully...it did not make any scratch marks! Btw, I consumed the liquid excess and applied it to my iPad and the back of the phone, so thrifty, haha! 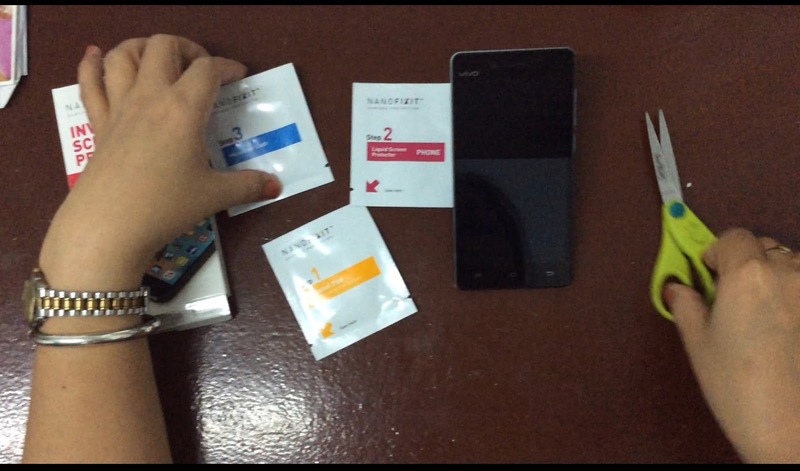 Have you tried this Nanofixit invisible screen protector on any of your gadget's screen? How was it so far? Let me hear your thoughts about this product.